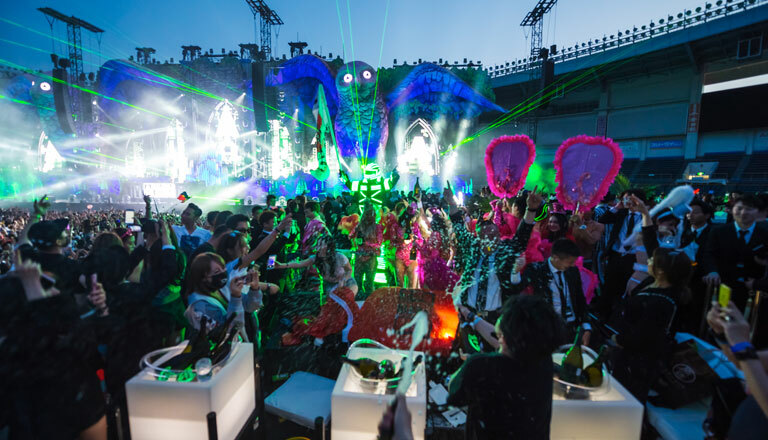 Enjoy the exclusive side of EDC! Our SkyDeck tables offer prime stage views and private table service for you and your friends. Your SkyDeck wristband provides access to all GA, VIP, and SkyDeck areas. Package details are coming soon! To register your interest, please complete the form below. We can respond to messages in English, Español, or 中文.